Summon skulls with pairs of dice in this chilling puzzle game! 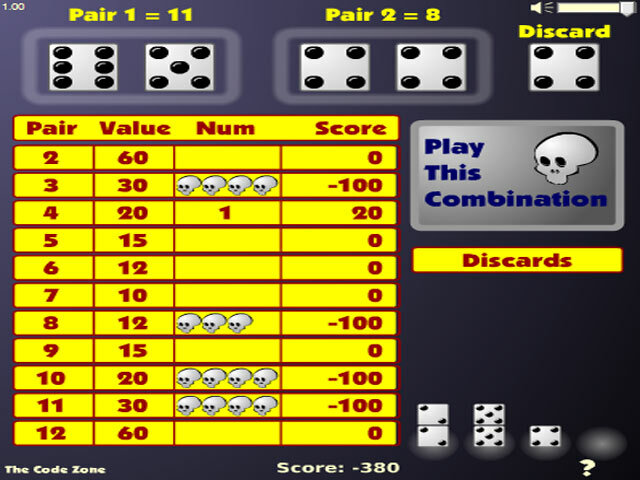 Successive pairs dismiss the skulls and score points.Throw some bones and use your brain!Summon skulls with pairs of dice in this chilling puzzle game! Successive pairs dismiss the skulls and score points. Higher and lower numbers grant greater bonuses, but the middle numbers are easier to roll. 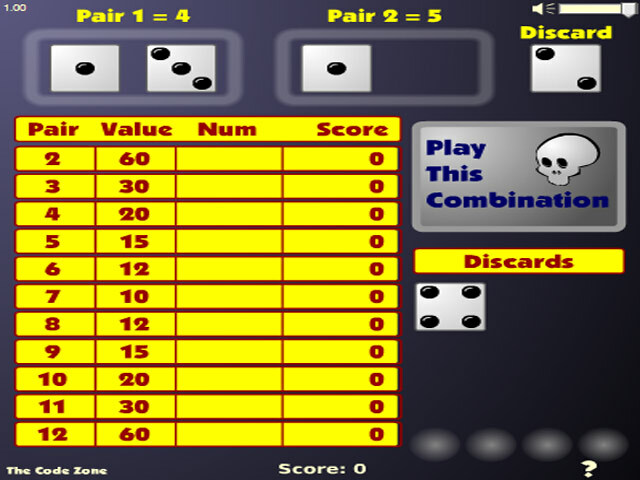 Rack up a high score by adding dice pairs to "deboned" numbers before your discard columns reach their limit. 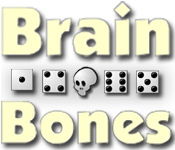 There's no bones about it, Brain Bones will challenge and entertain for hours!